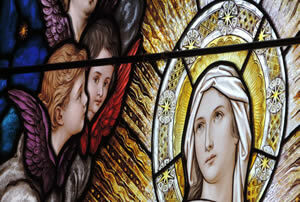 the Intermountain Catholic and your parish bulletin. The pastoral planning process is an opportunity for Catholics of the Diocese of Salt Lake City to participate as we "Chart our Course" into the future. We are living in a time of many changes and transitions. It is vital that we as a Church community come together, talk about who we are as church, and how we can work together as we move into the future. All Catholics are invited to be a part of the conversation and through prayerful discernment we can successfully plan for our goals and hopes for the future. With the wisdom of the Holy Spirit guiding us, we must think about planning actions that will help us move closer to this Christ-centered vision. Local feedback is a critical tool in accomplishing our goals. Please take the time to participate by attending a scheduled listening session in your area. If you are not able to attend a live listening session, we invite you to complete either our online survey or the survey that will made available through the Intermountain Catholic. Pastoral Planning is a process that establishes a Christ-centered vision for our diocese. Please pray for our discernment as we engage in the planning process.